Kathleen has had over 15 years experience in the Health and Fitness Industry, has been an Accredited Exercise Physiologist for 9 years and is a mother of 2. After completing her Bachelor Exercise Science in 2003, Kathleen went on to study Business Management and managed a Corporate Fitness Centre in Sydney CBD for 3 years, working with companies such as AON, Westpac, Lend Lease, KPMG in exercise prescription, occupational therapy, recreational programming, corporate health and ergonomics. After several years managing gyms and working in the corporate fitness sector Kathleen established, owned and directed two highly successful businesses on the Northern Rivers specializing in Exercise Physiology and Personal Training. Working individually and with teams of Allied Health Professionals her services involved, rehabilitating patients and clients with developing and pre-existing chronic diseases and/or illness, aged care and injury prevention as well as providing exercise prescription, support networks and lifestyle modifications for individuals under Workcover, Medicare and DVA. Kathleen has extensive experience in all areas of the fitness spectrum. She has trained professional athletes in providing them with the physiological and psychological resources to improve their performance and fitness in competition, has run large scaled classes and recreational programs for up to 40 participants, has designed gross motor skill programs for toddlers and school sports programs and has had over 3 years experience working in aged care teaching rehab programs and classes. She has also mentored numerous Exercise Science students, EP’s, Personal Trainers and Group Fitness Instructors, has provided business management and consulting to several businesses. Additionally, Kathleen is a qualified Pilates, Lesmills, freestyle group fitness instructor and has worked with various charities in creating social awareness of the importance of exercise. 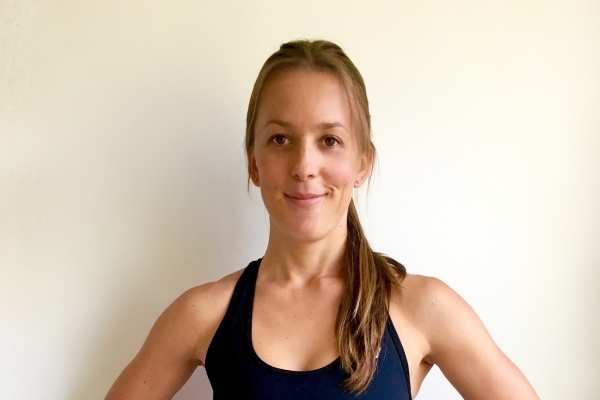 After having 2 children and years of experience training clients in pre and post-natal fitness, Kathleen’s career passion is to become an industry leader in providing the highest level of rehabilitation, exercise prescription, recovery strategies and nutritional support for pregnant and new mums. Specialising in pregnancy fitness (includes active labour), recovering post delivery, pelvic floor dysfunction, Pelvic Girdle Pain, C-section, Diastasis Recti Separation, Diabetes, Depression, Prolapse, Incontinence, Osteoporosis, Back Pain and musculoskeletal imbalance and injury. Kathleen has built her reputation and credibility as an EP through her expertise, knowledge, ongoing support, and the ability to deliver various training styles and formats. Kathleen prides herself on presenting her clients with all the foundations they need to achieve their goals and most importantly staying motivated and committed. Kathleen believes her high level of client retention is based on her driving passion and enthusiasm in promoting health and well being and incorporating into each individual’s lifestyle.